Melting Pot: The Science Behind Learning! Below is another excerpt from my upcoming book, “Preparing for Battle”. It’s getting closer to being availabe. 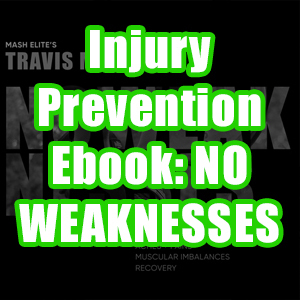 In it you will find information on mobility, assessment, workouts preparing rookies for the sport of weightlifting, beginner weightlifting workouts, advanced workouts, tapering for meets, goal setting, nutrition, and more. 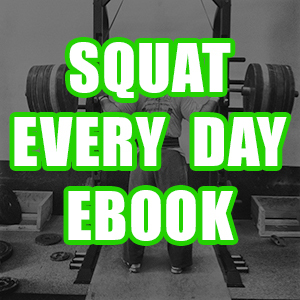 It’s everything that a rookie or advanced weightlifter could ask for. Our online team grows every week. 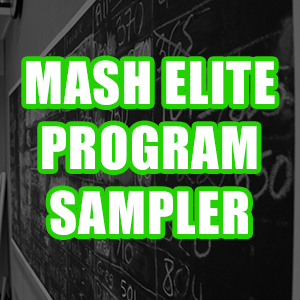 To become a team member, or to find out more information, go to https://www.mashelite.com/online-programming/. 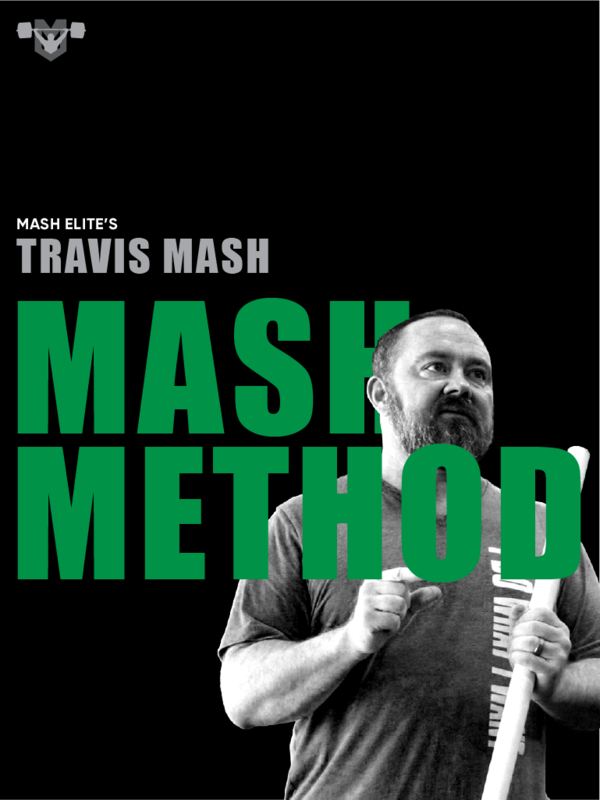 To check out a Learn 2 Lift Seminar coming near you, go to www.MashElite.com/seminars/. 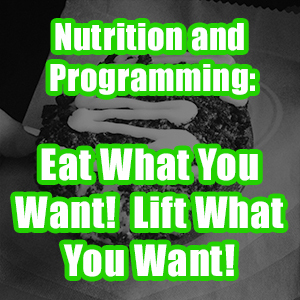 My co-host on Weightlifting Talk, Jon North, talks about growing one’s melting pot. He is talking about learning from as many sources as possible. He is of course talking about the sport of weightlifting, but this principle could be applied to any aspect of life. Jon goes on to say that he has learned aspects of weightlifting from all of his coaches even as far back as his elementary soccer coach. He goes on to say that he learned movement and balance from this coach, and that is where his melting pot began. Of course he has had many coached since then, and there are aspects of each of these coaches in the way Jon trains, performs the lifts, and competes to this very day. My melting pot is filled with an amazing group of lifters, coaches, and influences. My athletes and friends joke about how I know everyone in the industry. When I think about it, I just thank God that I was put in the path of such amazing people. I also thank God that I had the courage to meet these people, and that I had the compassion to get to know them. In Colorado Springs, I was blessed to have as my first coach, two-time Olympian, Wes Barnett. My second coach was Olympic Bronze Medalist, Dragomir Cioroslan. Both were amazing men, and I learned so much from both of them. It was because I had the courage to seek Wes out that I was able to be coached by both. While I was in Colorado Springs being coached by these amazing men, I was able to meet two-time Olympian, Shane Hamman. I was also able to meet and train with Olympians, Tom Gough, Pete Kelly, and Tim McRae. I met other amazing lifters like Andy Garcy and Jackie Berube. I learned something from all of these people that I now pass on to my team. The key to learning from people is truly loving others. I am truly interested in other’s story, and everyone you meet has a story. If people see that you care and that you are sincerely interested in them, they will tell you their story. If you listen, deep in their stories you will find gold nuggets of knowledge. One of my closest teammates, Andy Garcy, taught me to stay over the bar as long as possible, delaying the double knee bend, for maximum power in the second pull. He taught me that simply getting strong is a big part of being a successful weightlifter. He also taught me to enjoy the moment and to love life. Weightlifting can be a very monotonous sport because you are snatching, clean & jerking, and squatting day in and day out. The key to a long life in the sport is to take time out to enjoy the training, enjoy your teammates, and enjoy the process of becoming as great as God intended you to become. Andy died of unknown causes January 16, 2009. I will never forget his smile, and his passion for the sport. He was weightlifting’s Arnold Schwarzenegger, and now I will miss him forever. Because I had the courage to meet Wes, I had the privilege of doing life with one of weightlifting’s most amazing people. I also met the world famous strength coach Charles Poliquin, Active Release Techinque inventor and world famous chiropractor Dr. Michael Leahy, and the entire cast of TNation Magazine during my stay in Colorado Springs. Dr. Leahy was my first chiropractor, and his practice was called Champion Health. TNation had their offices within Champion Health, and Charles Poliquin also had his strength and conditioning clinic within their walls. It was a fantasy world for a strength athlete like me, and my dream was to one day be a part of something so amazing. I spent every extra moment at Champion Health getting to know Charles, Dr. Leahy, and Tim Patterson, Editor-In-Chief of TNation. I grew my melting pot within those walls exponentially simply asking questions, listening, and getting to know these men. There was so much knowledge behind those walls that I almost learned by osmosis. I worked at the World Gym while I was in Colorado Springs, and I was able to set them up with a six week clinic from Charles Poliquin. Their trainers were able to get more knowledge during those six weeks than most Exercise Science students get in four years at a university. He taught us all about supplements, nutrition, assessment, programming, exercise choice, and so much more. My melting pot as a strength coach was growing faster than most PhD’s, and it was all because I was meeting new people. To my surprise, Charles stopped the lecture, and I was forced to max out in the front squat. Of course I went on to crush over 500 pounds with ease, and I instantly earned the respect of the great Charles Poliquin. He told the group that I must only be one generation from walking on my knuckles. I laughed, and we were friends from then on. My melting pot was growing, and I learned from that early age on that getting to know the people was much better than reading about their thoughts in a book. My life has led me to know so many people including Louie Simmons, Ed Coan, Kirk Karwoski, Dave Tate, Dan John, Jim Wendler, Zach Even-Esh, Chad Wesley Smith, Coach Joe Kenn, Steve Goggins, and so many more. In this book, I want to teach you how to have the same ability. I know this is not a networking book, but without the skills of networking one will never come to know all there is to know from the great men and women of this world. The last gift that I will pass on with this book is the gift of The Melting Pot. The first step to growing your melting pot is to have the courage to meet others. The key to having this courage is all about your perception of people. When I look at someone, I remind myself that God made them just like He made me. We both laugh, cry, sleep, eat, and go to the bathroom, and we both bleed red. That one thought has been the most freeing thought of my lifetime. As soon as you look at people with these simple thoughts, you will start to realize that you too can accomplish the same great things. Now when I look at the President of the United States, I think to myself that I am looking at another human that bleeds like me, eats like me, and uses the toilet just like me. The President simply put the time in to school, networking, and campaigning. The second step is to have the courage to put yourself in the right situations. I met Charles Poliquin because I knew that he worked with Champion Health. I would purposely hang around the place until one day that right opportunity presented itself, and I was able to meet Charles. I met Dan John while he was presenting at Wake Forest University. I had heard that he was going to be presenting, so I contacted Ethan Reeves, head strength coach at Wake Forest. Ethan was the organizer of the clinic, and a friend of mine. I contacted Ethan, and I told him that if there was a need for more speakers, I would be happy to fill in. Lucky for me, Ethan needed one more, so I got to present with Coach John. During the clinic we got to know each other, and now we are friends to this day. I will say that Dan John has been one of the biggest influences on my coaching with his simple approach to strength. Last spend your life loving others, and you will spend your time listening, learning, and caring. People are instinctively open to people who listen and care. When people try to meet me, and all they want to talk about is themselves, I am instantly looking for an exit to the conversation. When I meet people, I want to do three things: listen, learn, and help. I want to listen to what they have to say. I want to learn about their life story, and then I want to see what I can do for them. Nobody likes a parasite or someone that just wants to take, take, and take. I know win-win is cliché, but it’s the best way to form lasting friendships. 1. Have the courage to meet other people. 2. Have the courage to put yourself in positions to meet other people. 3. Spend your time loving, listening, learning, and caring for others. Next week I am going to walk you through how I met Jon North, Donnie Shankle, Glenn Pendlay, the Barbell Shrugged Podcast crew, and Christmas Abbott. I want to teach you how it happened, and what I learned. I want to express how my coaching, programming, technique, and business have all been influenced. To meet me in person and learn more about my coaching and melting pot, check me out at one of my Learn 2 Lift Seminars. I will be in Orlando at CrossFit Broken Chains at the end of the month, and then next month I will be at Port City CrossFit in Wilmington and Mission CrossFit in San Antonio. To find out more, go to https://www.mashelite.com/seminars/. To learn more about my online coaching program, go to https://www.mashelite.com/online-programming/.